My experience this past weekend is what my granny would call "kayefi" strange. Or what my dad would designate awful. I was at the supermarket shopping with my friend and her husband when we bumped into a lady at the counter. She picked up my friend's bathing soap, claimed it is a good soap that helped remove the spots from her body. And boom! She opened half of her breast to all three of us to show us the spots are gone. I almost jumped out of my skin from shock. Excuse me. What was she trying to do? Was she trying to seduce my friend's husband? Every female is a woman, but not every woman is a lady. A lady is defined as a person who is decent, well put together and have respect for herself in her daily transactions. Her image is powerful! 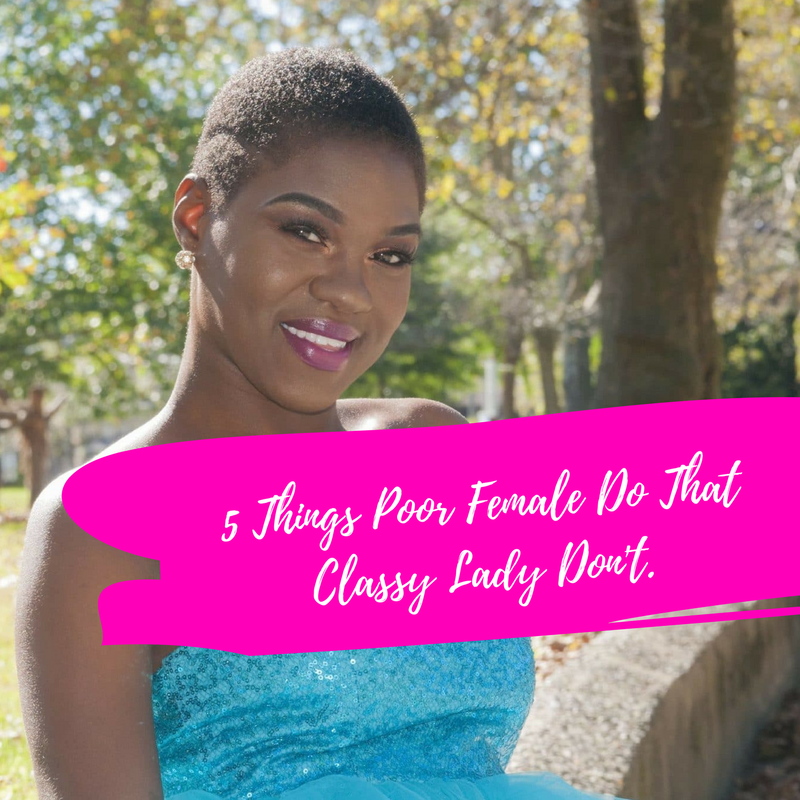 I mean there is nothing more attractive about a woman than having class. If you are like the woman mentioned above, what I want to do is help you thrive for class because you are viewed by the way you carry yourself. You are judged by the way you present yourself to others. You might not like it, but that's the way the world works. I hope you would be a classy lady from now on. If you are living in the guidelines I shared today, you would henceforth leave people who encounter you feeling glad they met with you. Always enhance the woman that you are and you would never regret being a lady. Leave your comments and suggestions down below or what you would like to see in the future post. If you like this post be sure to give it a love and share. I'm so glad you are visiting my page today. I'd see you in the next post. Have a great week. Go out there be kind and create a more fulfilling and successful month.